There have been many supposed Ghost Sightings at Crowley Hall in England. During it's life, the Hall has had a number of paranormal incidents suggesting the prescence of ghosts, and there are Ghost Stories dating back to the the 1950's. Recently, a Ghost Photo was recovered during renovations at the hall, and this had prompted a full Ghost Investigation there. This Investigation is being made into a Feature Film due to be released early 2008. 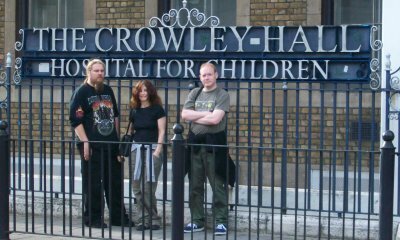 Ghost Hunter Arron Kasady, Spiritual Medium Annabel Keogh and Film Director Daren Marc during a visit to Crowley Hall in August 2008. Annabel Keogh could still feel the presence of Dr. Leys around the building one year on from the original investigation there in 2007. The Region 1 (NTSC) Version of the Movie 'The Ghosts of Crowley Hall' now on Sale here! Pre order your copy here for only $22.99 and we will post straight to you on the Official release date February 14th 2008. Be the first to find out what really happened at Crowley Hall during the Paranormal Investigation there in 2007. Not new to the horror movie scene, LadyAxe has recently directed the slasher movie 'Ukoyika' and has also been part of the heavy metal scene in South Africa since she was 19. ‘The Ghosts of Crowley Hall’ Official Movie Trailer is finally here! 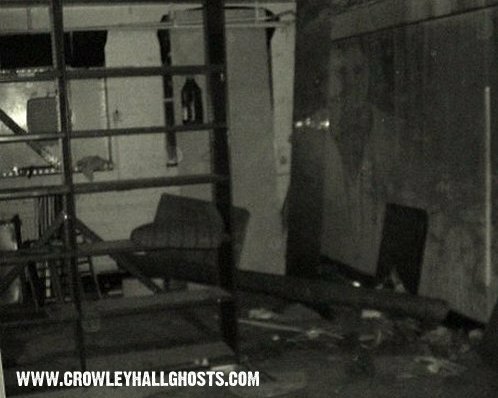 ‘The Ghosts of Crowley Hall’ is a documentary currently being made about the Paranormal Investigation that was carried out at the hall during the summer of 2007. It shows the true events of Ghost Hunter Arron Kasady, his team of Investigators and their findings at the hall. It is being made by Walrus Films in association with Dark Mask Films, and is being directed by Daren Marc. The ghost team and film crew carried out the investiagation over two nights - 26 May 2007 and 11 August 2007. The movie is currently in post-production, and will be released as a feature film on DVD worldwide in early 2008. We will be adding more news on the upcoming movie 'The Ghosts of Crowley Hall' in our new Ghost Forum. There are links, discussions and information on Ghosts, the Paranormal and other Ghost Hunting stories from around the world, all in the Forum. These are some of the Ghostly Images that were captured during the investigation at Crowley Hall. The first photography was found during recent renovations at the hall. CCTV cameras were set-up around Crowley Hall in the hope that some ghostly activity could be captured on camera. 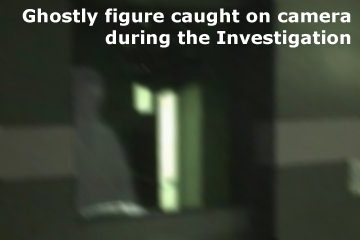 This figure was captured as it moved accross the frame around the cell area. 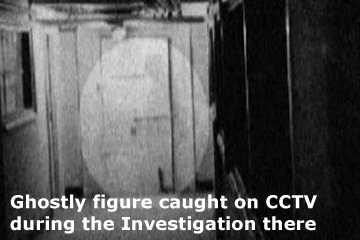 The strange figure and the ghostly image behind the glass were captured on camera as the investigation team conducted their research there. 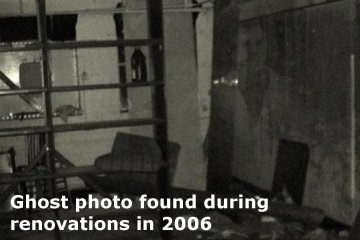 See more Ghost Photos and Video Clips from the Paranormal Investigation that was conducted at Crowley Hall during the Summer of 2007 and read more about the Investigation there. The second part of our investigation of the Ghosts of Crowley Hall was completed in the early hours on 12th August 2007, and we are quite excited about some of the evidence we have collected. A much smaller team went this time, although Arron Kasady was still accompanied by his Ghost Hunting crew, including Annabel Keogh his Spiritual Medium and Katherine Copeland the resident Parapsychologist. More strange Paranormal activity was witnessed and recorded by the team including moving objects, strange noises and more Orbs. Delving into parts of the Hall previously unexplored, Dr. Leys’ home was investigated and some of our findings were quite incredible. Crowley Hall, situated in the north of England, was built in the late 19th century. It had originally been built as a hospital and served that purpose until the 1920’s, when it was reformed and renamed as ‘The Crowley Home for the Criminally Insane’. Run by head practitioner Dr. Bernard Leys and his wife Beatrice, it was one of the key centres for mental illness and criminal behavioural studies in the north of England. During Leys’ time at the hall, rumours of serious malpractice were rife. Stories spread of experimentation on some of the most violent inmates, including beatings and starvation. Upon Leys’ death, an investigation into the rumours was conducted. However, the findings were inconclusive, as many records of the time had been destroyed when a fire broke out during the investigation. The hauntings began on night in March 1971. A nurse was putting the children to bed in the first-floor nursery when she heard heavy footsteps coming from a room directly above. It was an empty room and never used by the hospital. At first the nurse thought nothing of it as there were workmen in the building at the time. But these sounds went on night after night, and getting louder and louder. Other hospital staff had heard these sounds also, but when they went into the room to check-up on the noise, there was nobody there. Thinking that it was one of the children playing pranks, they were determined to discover who the culprit was and sprinkled flour on the floor. However, there were no footprints. See lots more Ghostly Photos from Cemeteries, Haunted Places and historical sites at Grave Addiction. Visit Ghost Haunts for Ghosts, Ghost Stories, Haunted Houses and Paranormal Research for those wishing to delve deeper into the Unseen. This photograph was found in the old nurses quarters during renovations. On the back was written "He has been at it again. Will he ever leave us alone? 1974". Visit SouthEastern Michigan Paranormal Support & Investigation. We have ghost photos, EVPS, true ghost stories. Visit us, turn out the lights and experience the paranormal realm that exists all around you, all the time... We welcome your comments. A ghost can be defined in several ways depending on different situations. One of the definitions refers ghost to a person’s spirit or soul who has died. This definition is used commonly among all! There have been several doubts regarding the existence of the ghost and disputes too whether ghosts are just imaginations or part of objective existence. Reports say that ghosts have taken shape of vehicles, animals and humans. Parapsychologists have undertaken the task to study about ghosts. There are many who do not accept the existence of ghosts. Scientific research disbelieves the fact that ghosts are disembodied souls or spirit, but then they prove that these ghosts are impressions of psychic energy left behind by a deceased person who is still living. They state that any tragedy in a person’s life might cause mental energy of some kind, which would be released to the world, and this energy might be experienced by many other people who are sensitive to the presence of such energy. A local property developer has had to halt works on the development at Crowley Hall after claims of paranormal occurrences. Steven Newton of Manchester, UK had recently purchased Crowley Hall intending to turn it into flats and had begun work in early 2006. Independent British Film Company producing next Blair Witch? A small independent British Film company based in England UK, are producing a documentary on the hauntings at Crowley Hall. 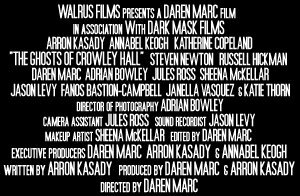 Walrus Films are a small company that have so far produced short films and music promos. This is their first foray into the world of Independent Feature Film Production. Throughout our lives we collect memories, some happy and others sad. These experiences affect how we develop and think about ourselves. As hard as it might be to believe, how we respond to those memories affects what happens to us. One of the definitions refers ghost to a person's spirit or soul who has died. This definition is used commonly among all! There have been several doubts regarding the existence of the ghost and disputes too whether ghosts are just imaginations or part of objective existence. It is believed also that ghosts 'haunt' sites that they enjoyed in life, or the place of their death. So if we know where a particular ghost is likely to show up, why is there not photographic evidence? Of course there are lots of photographs in circulation of what appear to be ghosts. Ghosts who want entrance to your home are now reduced to showing up at your door, like ordinary trick or treaters? How frightening is that, especially since you can always duck behind the couch and pretend no one is there? The hungry ghosts are particularly activated when we make a conscious commitment to transform or heal an aspect of our souls, especially if our intentions are heightened through ritual. Bringing out the heavy artillery, they are ready to battle our determination to liberate ourselves. Horror movie reviews are famous due to their appraisal of horror movies, which help the audience to decide if they are too horrific for them to watch, or if they are within their limits. Horror films are films of the horror genre that are designed to elicit fright, fear, terror, disgust or horror from viewers. Please feel free to leave any comments about our site, or any aspect of our Investigation into the Ghosts of Crowley Hall with our Online Form. Alternatively, you can use the form if you want to Trade Links with us. A ghost is usually defined as the apparition of a deceased person, frequently similar in appearance to that person, and encountered in places he or she frequented, or in association with the person's former belongings. Ectoplasm is referred by the parapsychologists as the substance from which spirits and ghosts are made of. Ghosts can be defined in several ways depending on different situations. This site has many ghost photos and pics of ghosts. Aleister Crowley once used a Ouija board to collect ghost pics. One of the definitions refers ghost to a person's spirit or soul who has died. If they are, or if they have a connection to, "orbs" seems to be divided. The Curse of Crowley Manor and various ghostly goings on on at the hall. Numerous Ghost Images seem to exist showing both phenomena. Ghosts are typically a hazy humanoid transparent against the background of the picture in whatever dress the deceased would wear during their time of death. 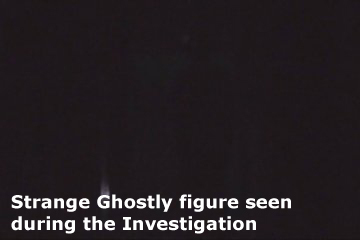 The term ghost has been replaced by apparition in parapsychology, as seen in Most Haunted, because the word ghost is deemed insufficiently precise. Ghost Videos show up as small balls of light moving about in an environment or seem to be some type of photographic imperfection. Ghosts, and particularly ghost and ghost images have been popular for many years. Well known haunted places may give a clue as to the validity of ghosts and orbs in spite of the general public's resistence to video evidence now because of hoaxers. 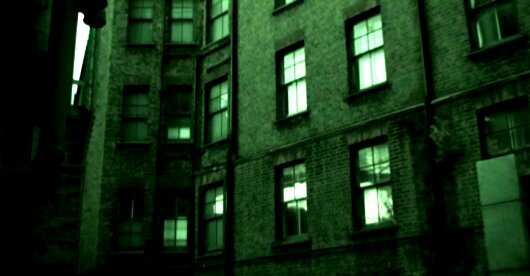 'The Ghosts of Crowley Hall' is a new ghost movie being directed by Darren Pilkington, and will be released on DVD towards the end of 2007.